Did you know you have 2 brains? Everyone knows about the one in the skull but your gut actually plays a huge role in your mental health. Naturopathic Doctors have always been big proponents of this, but now the research shows overwhelming support. Problems in your digestive tract directly impact your mental health leading to a variety of issues including depression. What’s that? You don’t think you have digestive problems? Do you have less than 2 or more than 4 bowel movements a day? Bloating? Gas? Reflux? Skin issues? Multiple food sensitivities? If so….you my friend have digestive problems. One of the most common causes of digestive problems is a lack of ‘good bacteria’ or probiotics in our gut. Current research also shows that it is directly linked to depression. So, let’s take care of our second brain and improve our mood by improving our good bacteria. AVOID ANTIBACTERIAL SOAP – regular soap works just as well! TAKE A HIGH QUALITY PROBIOTIC – depending on your history and symptoms, the type and dose you need will vary. Your Naturopathic Doctor can select the most appropriate one for you. Low Back Pain • Buttock Soreness • Feeling of a Knot • Pain While Sitting • Tightness, Burning Down to Your Feet • Gluteal pain while driving. Most people will tell you that you have Sciatica. But, do you really? 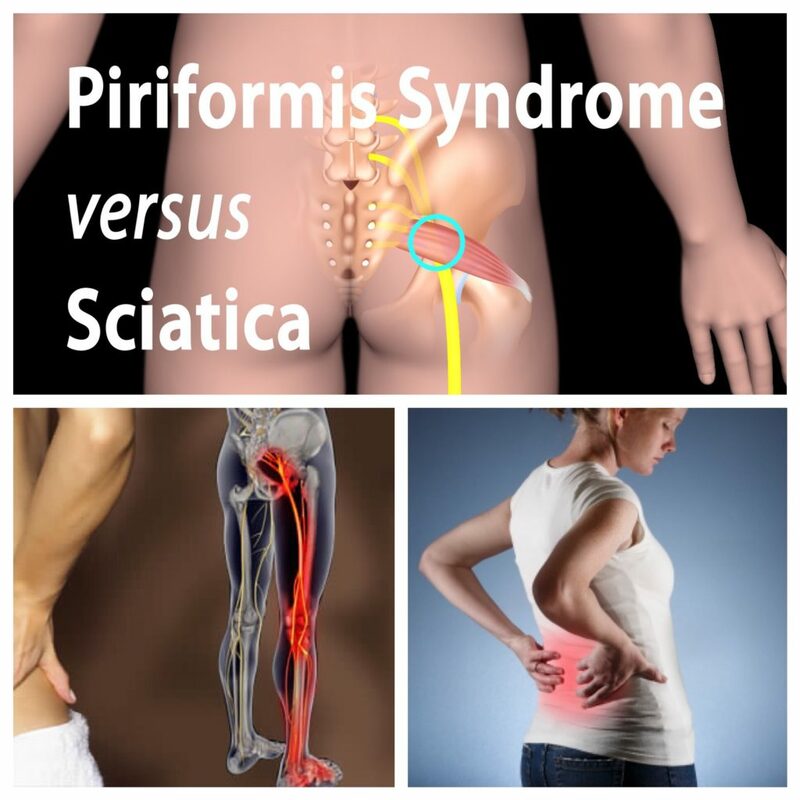 Sciatica is more commonly diagnosed than Piriformis Syndrome, but the symptoms of the two are almost identical. The sciatic nerve is thick and the longest nerve in your body. It originates in the lower spine (L4-S3) and its nerve roots exit the spinal cord to extend all the way down the back of the leg where it eventually branches off into smaller nerves that end in the toes. The term sciatica refers to irritation of the sciatic nerves, often due to compression. 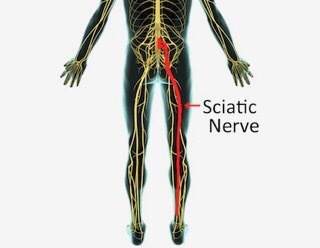 The nerve pain and symptoms of sciatica are numbness and tingling radiating in the buttock area, down the posterior leg and calve, and often extending down to the ankle and foot. There can be a loss of specific reflexes, weakness and difficulty walking if the motor nerves are affected as well. Causes of sciatica are: herniated disc, degenerative disc disease, stenosis (narrowing of the spinal canal), or piriformis syndrome. Several studies have suggested that 40-50% of sciatica cases may actually be a result of piriformis syndrome, not radiculopathy. The piriformis is a small, thick, flat muscle located in the buttocks region under the gluteal muscles. It starts on the inner surface of the sacrum, passes through a short tunnel made of bone and ligaments called the greater sciatic foramen (so does the sciatic nerve), and attaches at the hip joint. This muscle is important in the lower body because it stabilizes the hip joint, and allows you to lift and rotate your thigh away from your body (external rotation). These are key movements when we are trying to walk, shift our weight from one foot to another, maintain balance and sports. How can one muscle cause pain not only in the buttocks, lower back but all the way down the leg? The symptoms are often not coming only from the muscle, but from the compression of the sciatic nerve. The sciatic nerve runs deep beneath the piriformis muscle, and in 15-20% of people, the nerve actually runs right through the piriformis. This nerve is about 3 feet long and if its compressed, its going to hurt! Having a tight or inflamed piriformis is also going to put pressure on the sciatic nerve. This is what causes all the pain, numbness, tingling and other symptoms associated with sciatica. Trigger points are found within a tight band of muscle or fascia that are tender to touch, prevent the muscle from fully lengthening and reduces its strength. 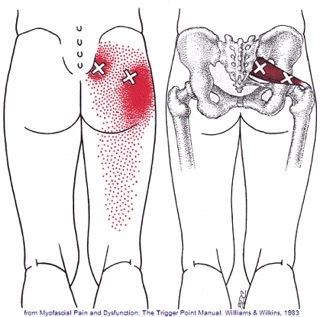 When the piriformis is shortened and swollen by trigger points, it can cause symptoms such as tenderness and a dull ache in the buttock, lower back, pain when walking up stairs or running, and increased pain after prolonged sitting. In cases of sciatic nerve entrapment, the referred pain may extend down all the way to the calf and bottom of the foot. You may find yourself squirming a lot and shifting positions to get comfortable, difficulty crossing one leg over the other while sitting. Another way to see if your piriformis is the problem, is when you’re lying on your back that your foot will rotate out to the side rather than being in straight alignment. Massage is very effective when treating piriformis syndrome that results from soft tissue hypertonicity, and altered posture such as hyperlordosis. The goal of treatment for both is to decrease compression on the sciatic nerve, reduce fascial restrictions, pain, hypertonicity and trigger points to improve tissue health and circulation. Treatment for Sciatica will depend on the severity of the case. In some cases, physical therapy and anti-inflammatory medications are enough to keep the pain and numbness at bay. More severe cases require steroid injections or surgery. Today we are getting into more detail with Sciatica and Piriformis Syndrome. The piriformis is a small, thick, flat muscle located in the buttocks region under the gluteal muscles This muscle is important in the lower body because it stabilizes the hip joint, and allows you to lift and rotate your thigh away from your body (external rotation). These are key movements when we are trying to walk, shift our weight from one foot to another, maintain balance and sports. But what does it have to do with the sciatic nerve? Let’s learn more tomorrow! Sciatica or piriformis syndrome??? That is the question! The sciatic nerve: It’s the longest nerve in your body and originates in your lower spine all the way down to your toes! The term sciatica often comes up when someone experiences numbness, and tingling that extends from the buttocks, down the leg and into their toes. Often caused by a herniated disc, or degenerative disc, or a pesky muscle called the piriformis. Check in tomorrow to see if you’re suffering from true sciatica, or if your piriformis is the cause. Next week we’ve got your back!We’ll be talking about the difference between piriformis syndrome versus sciatica. Orthotics – Who Needs Orthotics? Orthotics are medical devices inserted into your shoes to help balance your posture and keep you in alignment. Your feet are your foundation. Any weakness or unstable positioning in either foot can contribute to postural problems throughout the rest of the body. By stabilizing and balancing the feet, custom-made orthotics help to enhance your body’s performance and efficiency, reduce pain and contribute to your total body wellness. Orthotics promote proper alignment of the feet. They can restore balance, improve sports performance and even alleviate pain in the knee, hip and lower back. Research shows that back problems, the most common form of chronic pain, can often be traced to a foot imbalance. Custom made orthotics can provide relief for many different types of foot pain including heel pain, arch pain, pain caused by bunions, an injury or a sprain, sports injuries, and pain related to diabetes. To summarize, orthotics allow the muscles, tendons and bones of the feet and lower legs to function at their highest potential. When appropriately prescribed, orthotics can decrease pain, not only in the foot, but also in other parts of the body such as the lower back, and improve quality of life overall. WHAT ABOUT OFF THE SHELF ORTHOTICS? No on else’s feet are exactly like yours. Prefabricated orthotics, mass-produced to fit an “average” foot, may cost less, but usually do not properly correct the specific problems found in an individual’s foot and may end up doing more harm than good. Many times, this type of orthotic can actually worsen a condition and create problems elsewhere in the body. In addition to providing relief for painful foot problem or an injury, those who may benefit from orthotics include people who must walk or stand excessively on the job, or those who must stand on hard surfaces such as tile or concrete. Orthotics are particularly effective in relieving foot fatigue and discomfort experienced by older adults, who may have developed arthritis in their feet. WHAT IF MY FEET DON’T HURT? Even if your feet don’t hurt, a weakened foundation may seriously affect the rest of your body. If you are currently having knee, hip, low back, or neck pain, your feet may not be supporting joints, bones, or soft tissues above the ankles properly. A Chiropractor, who has extensive knowledge of biomechanics and orthopedic foot function, will ask about any medical problems or pain you may be experiencing and will conduct a computerized gait analysis and consider orthopedic issues such as; level of activity, type of activity, foot type and biomechanics. Based on an individuals particular problems or needs, the doctor makes a judgment about whether orthotics will be helpful or if some other treatment is warranted. 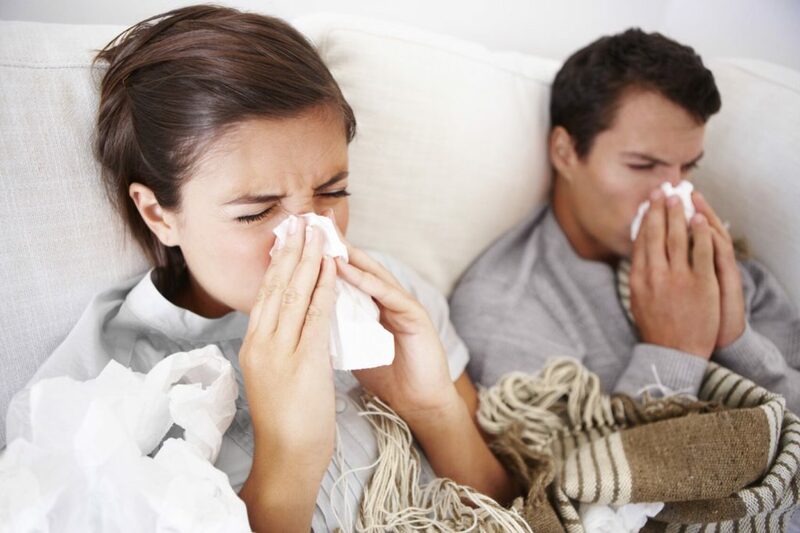 It’s time for the Winter Immune Boost Clinic! There are so many people sick right now. This is the second dose for those who started the treatment in the fall. This is a video of one of our fabulous clients getting his gait analysis done(this can be watched on our Facebook page and Instagram pages). This is the first step in getting your custom orthotics. 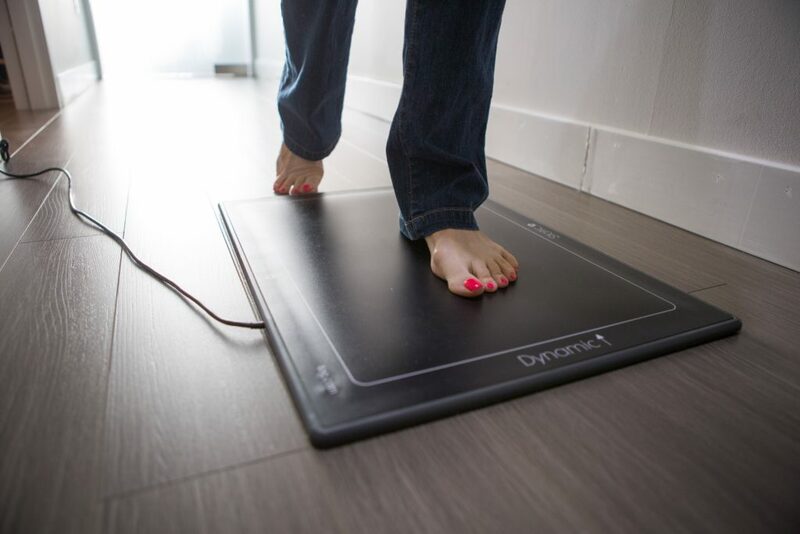 The gait scan has 4096 pressure sensors that analyze the pressure that is distributed throughout the foot while walking and standing. The colourful still shot of the scan shows us high pressure areas, imbalances and existing biomechanical inefficiencies. Once we have an accurate reading, we send the scan off for the orthotics to be made. Later this week, we will talk about orthotics. Who needs them and why? Do you wear orthotics?? 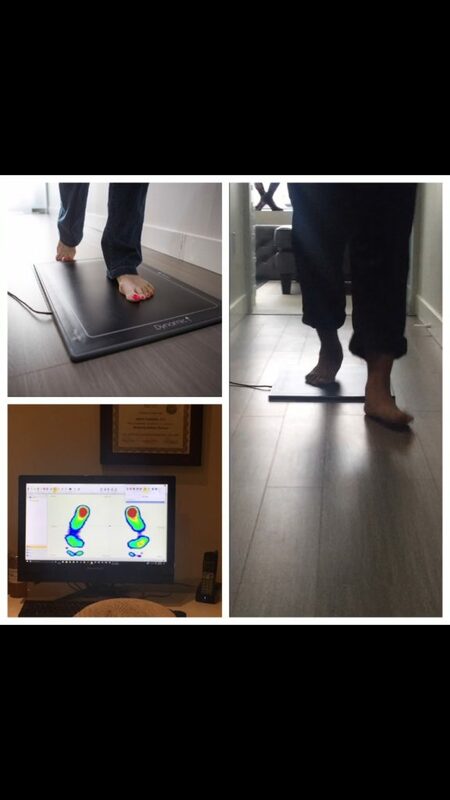 Gait Scan with Dr. Sheila ! Tune in Monday, as we go live with Dr. Sheila! Monday is all about gait scan analysis!